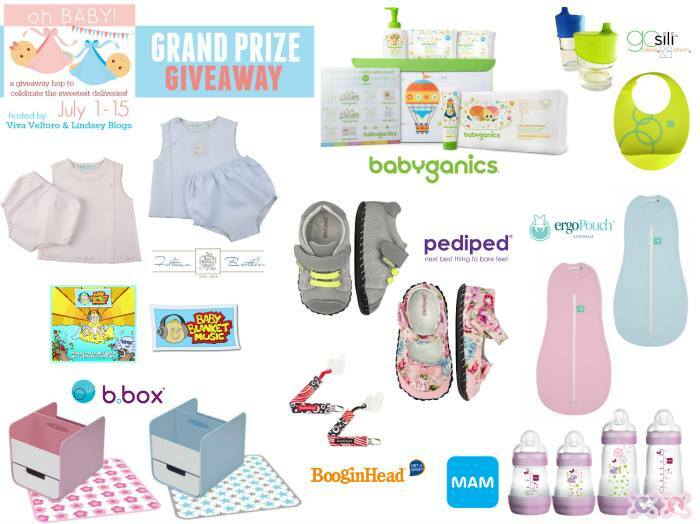 Welcome to the oh BABY Giveaway Hop, hosted by Viva Veltoro and Lindsey Blogs. I'm joining a number of other bloggers to celebrate the sweetest of deliveries… precious babies! Be sure to hop around to all the great giveaways AND don’t miss the AMAZING Grand Prize on the host blogs! Is there anything greater than babies? They're so sweet and cuddly... it's just hard not to be filled with joy when there is a brand new little one on the way, or having just arrived! But babies also need a lot of stuff!! From bottles to diapers, toys and everything in between... it can be hard for a new mom to determine just what they need, and which products to buy. MAM combines technological innovation, medical function and contemporary design to develop superior baby care products that support a baby’s development from day one. Since MAM developed its first pacifier in Vienna in 1976, it has evolved to become a global authority on baby care product design and quality. Today MAM products are used by families in over 60 countries and on five continents. To find out more and view MAM’s baby care range of award-winning pacifiers, bottles, cups, teethers, oral care items, coordinating accessories and gift sets visit www.mambaby.com. We love MAM products in my home! They truly are well made and designed perfectly with baby in mind! MAM recently celebrated its 40th anniversary- and after 40 years it seems these beloved products just keep getting better and better! This prize package is sure to be a must for every new mom! bowl + straw: It’s the bowl with more, featuring a removable clip and straw so kids can drink liquid such as soup or milk and then use a spoon to scoop the rest. It also comes with a bonus insert for snack time on the go. And if bub leaves some for later, just pop the lid on for easy storage. 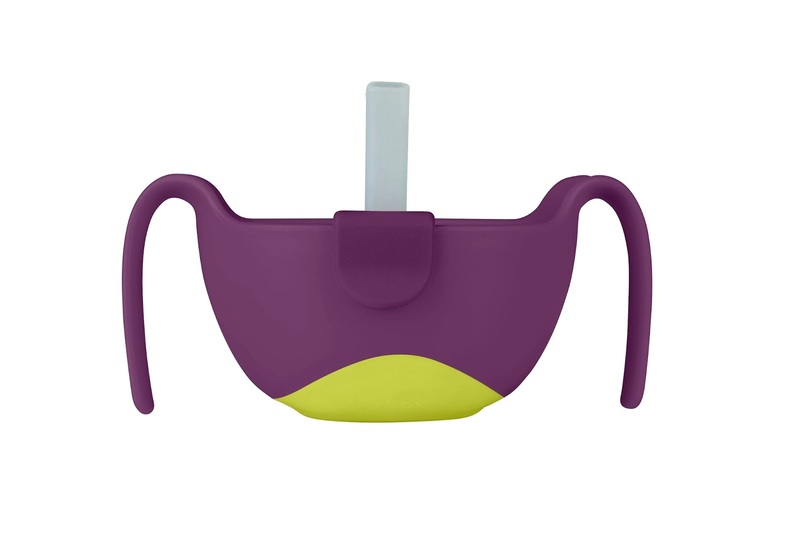 The handles are designed for little hands and the tear drop shape is ideal for drinking straight out of the bowl, making mealtime lots of fun. Recommended retail: $14. Available in Ocean Breeze, Strawberry Shake, Passion Splash and Lemon Sherbert. toddler cutlery: Designed in consultation with a leading paediatric occupational therapist, our unique fork has been designed to fit the size and shape of little mouths. The shovel shaped design and angle enables it to double as an implement to help children push food against and onto their fork, as well as a spoon itself. Both are specially designed to fit little hands and give kids ultimate manoeuvrability and control. The angle between the head and handle has also been carefully designed to ensure correct hand to mouth positioning. And for added convenience it comes with its own case for mealtime on the go. Recommended retail: $8.50. Available in Ocean Breeze, Strawberry Shake, Passion Splash and Lemon Sherbert. 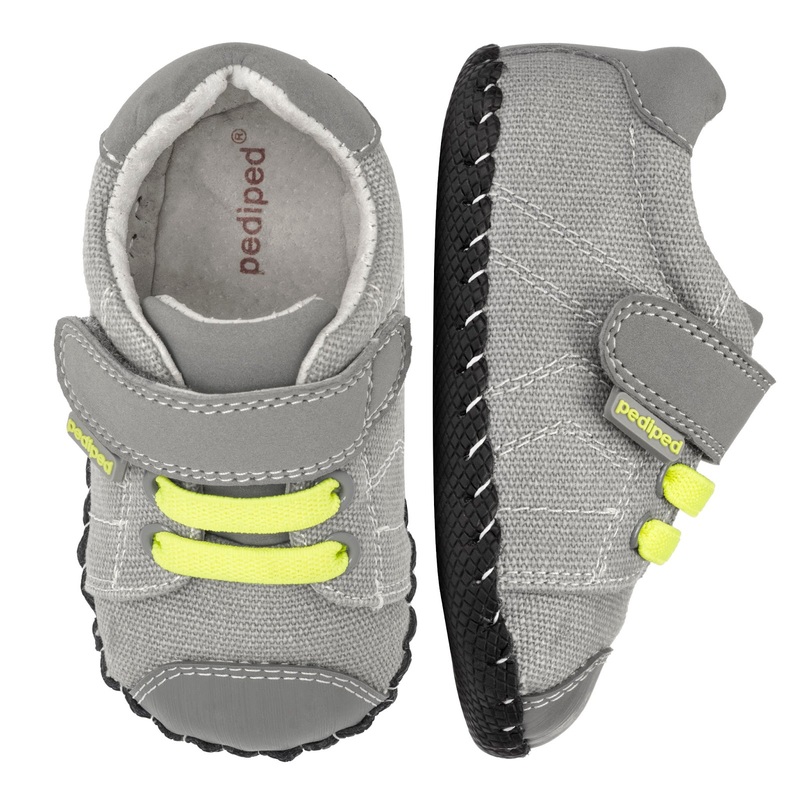 • pediped® Originals® are the first step in the pediped® footwear system. Soft-soled, and flexible, these shoes are recommended by pediatricians and podiatrists, as the design closely mimics barefoot walking, and do not force a child to change their natural stride. Each style is lined with a slip-resistant leather sole and includes pediped® patented signature hand-stitching, allowing for a breathable shoe. • Originals® styles retail starting at $37 and are available for children in sizes newborn to 24 months. Exceptional quality, unsurpassed comfort, and distinctive styling have made the award-winning company the fastest growing children's footwear brand in the United States. pediped® footwear has been awarded the American Podiatric Medical Association Seal of Acceptance for the promotion of healthy foot development, and preeminent orthopedic medical professionals, Dr. Mininder S. Kocher and Dr. Thomas W. Vorderer, deem pediped® shoes an excellent choice for parents/caregivers who want their children’s feet to develop naturally and healthily. pediped® has received numerous industry awards and accolades including recognition from Earnshaw’s, the premier media resource serving the children’s market. In 2015 pediped® was recognized by the Footwear Industry Awards as the Children’s Footwear Brand of the Year and earned a 2015 Earnie Award from Earnshaw’s magazine as the Footwear Brand of the Year. pediped® is sold in over 750 stores in the United States and 40 countries worldwide with an offering of more than 120 designs for boys and girls between its three lines, Originals®, Grip ‘n’ Go™ and Flex®. The award-winning footwear is available in EU sizes 17 to 38 (US newborn to 6 Youth). For more information, visit www.pediped.com or call 1-702-567-0311. 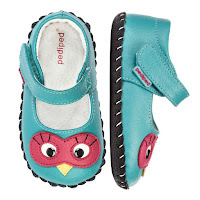 LIKE on Facebook at facebook.com/pedipedfootwear and follow on Twitter and Instagram @pedipedfootwear. I have featured Pediped here on A Modern Day Fairy Tale several times now, and for great reason... they are amazing! They truly are both the cutest and the most comfortable shoes for little ones we've found. We only discovered Pediped after my daughter was already older and walking, but the Originals truly are every bit as wonderful as well. They are the perfect shoes for your little one...and absolutely adorable too!!! Mission Viejo, CA-based Covered Goods was founded in 2012 by mom Jamie Yetter. The original multi-use nursing cover, Covered Goods covers provide true all over coverage and can also be used as a scarf, car seat cover and shopping cart cover. Covered Goods covers are manufactured in the USA. For more information visit www.coveredgoods.com. Covered Goods nursing covers allow for mom and baby to nurse comfortably. The high quality covers are made from an ultra-comfy breathable and stretchy fabric. There are no straps, rings, or cords to mess with, the covers take seconds to put on and take off, and alleviate any worry that baby will kick or pull mom’s cover off. The flexible neck is also designed to be able to be worn down under one arm to give mom even more freedom when nursing. The added benefit of the flexible neck allows mom to peek in on baby or to make sure her little one has latched properly. Covered Goods nursing covers can be folded compactly and in any fashion for storage and they are ideal for traveling with baby. Covered Goods covers are available online at www.coveredgoods.com and at specialty boutiques and stores nationwide. Recommended retail: $34.99. One of my personal baby must haves has always been a nursing cover! For me, I have always felt more comfortable using one than not...especially with my daughter! She was so easily distracted- popping on and off constantly to see what was going on around her. She certainly made it difficult to nurse in public without flashing those around! A cover helps block out some of that distraction! And these are super cute...and versatile too! I love that even after nursing is over, there are multiple uses still! Definitely a must see!! Winner will be contacted via e-mail after giveaway ends, and will have 48 hours to respond before a new winner is chosen. One entry per household, winning entry will be verified. Odds of winning depend on valid entries received. A Modern Day Fairy Tale is not responsible for prize delivery. Lindsey Blogs at SEBG, Viva Veltoro, and the OH Baby! participating bloggers are not responsible for sponsors who do not fulfill prize obligations. We can always use more mam stuff around here! Thanks for the nice package! This is amazing! I'm particularly interested in the b.box products! Omgosh what an amazing prize pack!! Covered goods has had me swooning since first sight!! Just love the line of Pediped Shoes-great variety! As a soon to be first time mom at 35, I'm now finding how overwhelming the world of baby products can be. This giveaway is a great start for ideas. This is such an amazing prize pack. Everything a mom could ever dream of having.